VIN Last 6 on Engine, Radiator Support, Quarter Panel and Build Sheet, Air Grabber, 4 Speed, Title Shows Actual Mileage. 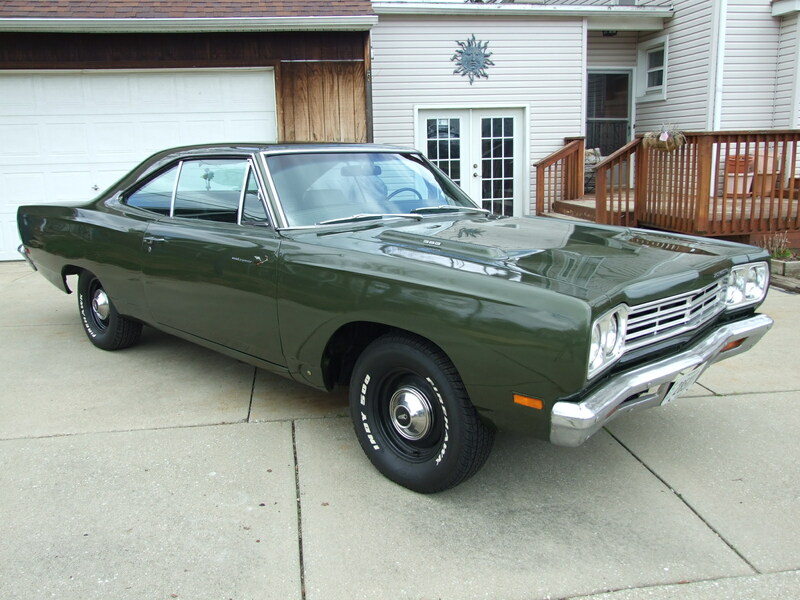 Owner set out over ten years ago to find the right Road Runner for him. Since 2008 car has had transmission rebuilt, new fuel pump, new water pump, new fuel sender, carburetor rebuild, new fuel tank, and new air grabber filter. Engine block appears original as it was born from the manufacturer (#235272 on engine). E63= 383 cid, 4 Barrel, V8 335 H.P. Buyer are required- To do their own research to verify the researched codes above are correct. * The paint seems to match very well all the way around. * The current owner purchased car with its current paint, so no knowledge of time and product. * It’s fairly smooth, and seems to be more of a high quality amateur paint. * The paint is probably shinier and smoother than some of the factory finishes on these cars in the day. *There is one small nick on the bottom rear of passenger door, along with the small bubbles below. * There are 4 or 5 very light scratches, half existing on the hood, and the rest on the top of the car that can only be seen under bright florescent light. You are not able to feel them with your finger nails so i’m pretty sure they would polish out if someone was concerned about it. * The hood, top, trunk, (top surfaces)all appear to be dent free with the exception being a few small dimples on the top of the left fender, and probably 5 or 6 very minor dimples on the top of the right fender. Also a little dimple on the edge of the trunk where it rounds down toward the trunk lock. They could possibly be candidates for paint-less dent removal, but not for sure. 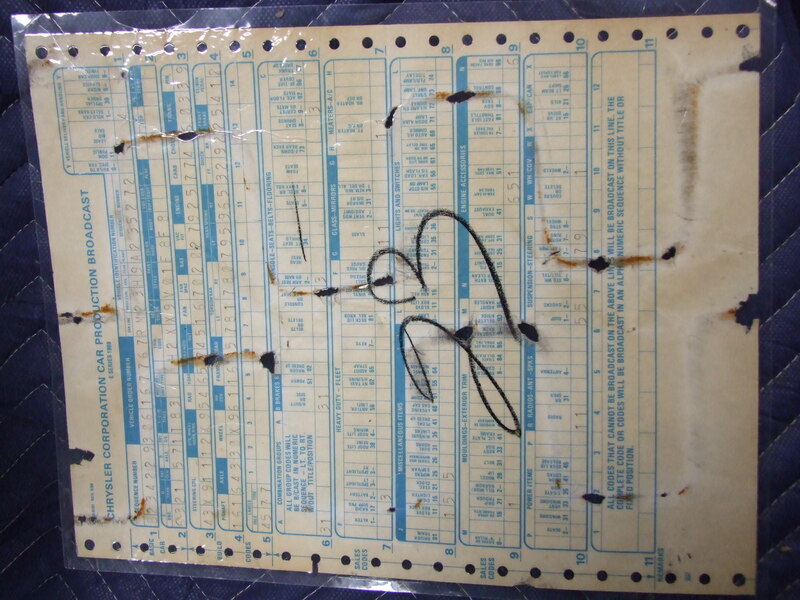 * We took several random samples of each panel from the body of the car. The paint appears to be mostly in the 8-12 mils range on all upper surfaces, with the sides being slightly thicker. * The door corners, and lower quarters do indicate typical repair that you would see on these cars along with indications of repair on lower quarters, front and rear. * Everything we see appears typical of this particular model based past experience. * Looking at the bright work in general it seems to be secured well, and we do not see anything that is not attached properly. * The aluminum surrounding the glass is all in good condition. At most they could use a slight buffing, that is just typical to obtain a little higher finish, but all in good condition. * All glass on the car excluding the windshield looks to be of similar age with the similar PPG designation, so it could very well be original glass. *Owner indicated he did have a new windshield installed, and we see no damage, nicks, or wiper marks. Designation on the windshield shows PGW. * It all appears very clear without any delamination, discoloring, cracks, or bulls eyes. * There are half a dozen or so vertical light scratches on the drivers window that are very typical, and just a couple on the passenger. Over all the glass is very nice and clear. * Interior looks to be possibly mostly original. * It appears that the interior is pretty much as it was when they where built, and designed with the exception of an upgraded radio. 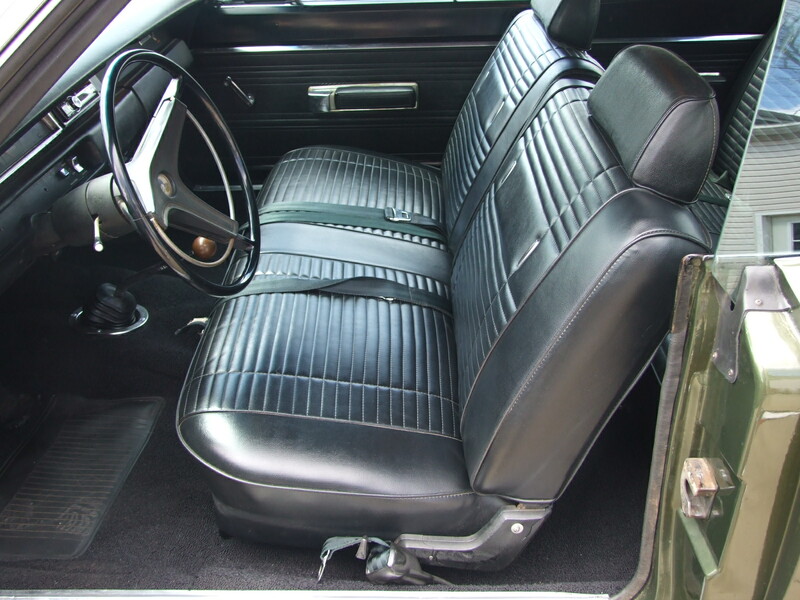 * It is the owners belief that the front seat received newer factory design of upholstery at some point in its life, and possibly updated carpet as well. * The owner is including a correct original radio with the car. (See pics) The original style Road Runner in the rear window is a memento that he will keep. * The sun visors appear all to be working, and solid. * The dash pad and top is without cracks. * The dash and steering wheel all appear to be proper. * All the dash with the exception of the radio, all appear to be as it was designed. We see one slight hair line crack in the steering wheel. * We did not see any rips or tears of the interior. * The trunk is certainly in neat order, with a correct cut mat. * Trunk has spare tire, wheel, and jack assembly. 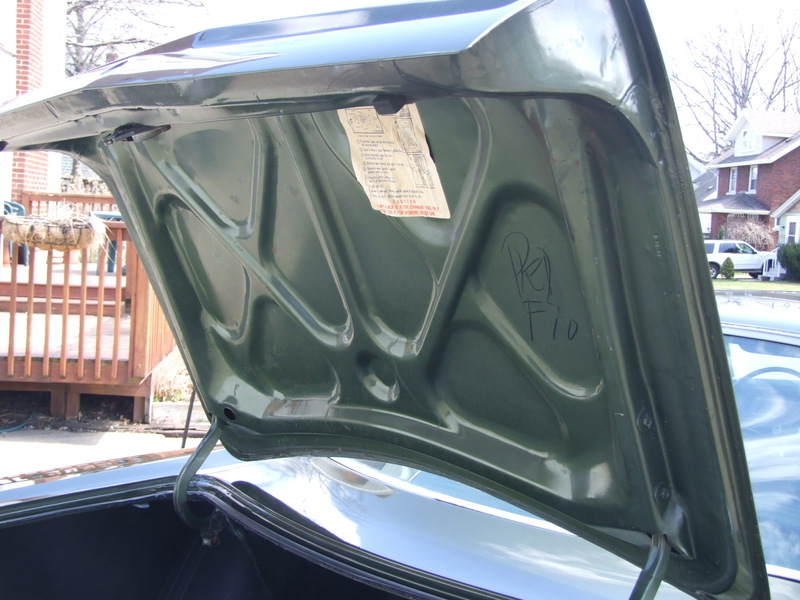 * The owner kept what appears to be original jacking instructions on the back side of the deck lid. * The sides are neatly finished in black, which makes a nice appearance. * Owner purchased in approx. 2008. see the bills in the pictures. 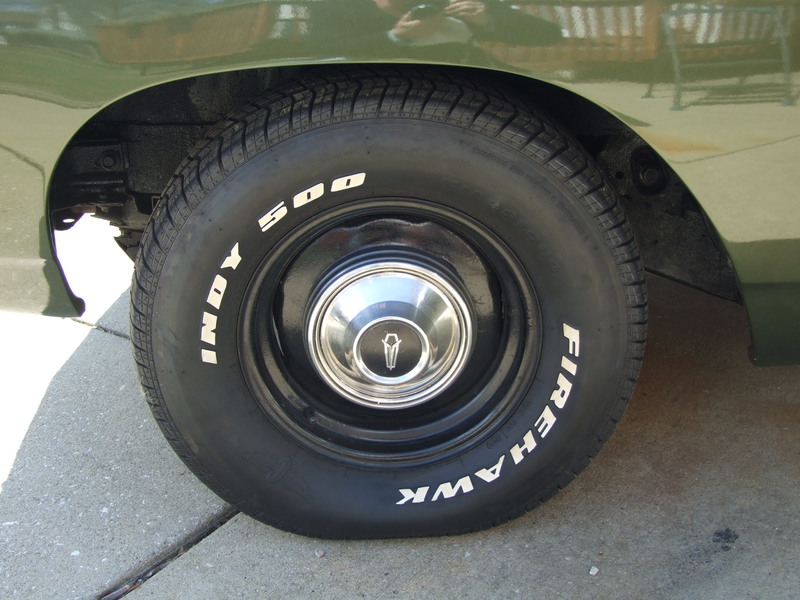 * The tires, wheels, and caps appear well, though looking up close the finish is a little rough and older on the wheels and the caps. Some of the light black has worn off, but without looking close they really have a nice appearance to them. * I do not see any obvious curb damage to the tires, wheels, or the caps. * Upon looking it over, and discussing it with the owner he confirms that under the hood has been left as it was originally designed, and built. * There is a newer style battery, and front wheel well modifications with approx 1 foot holes cut for performance exhaust, possibly temporary covers had been installed. 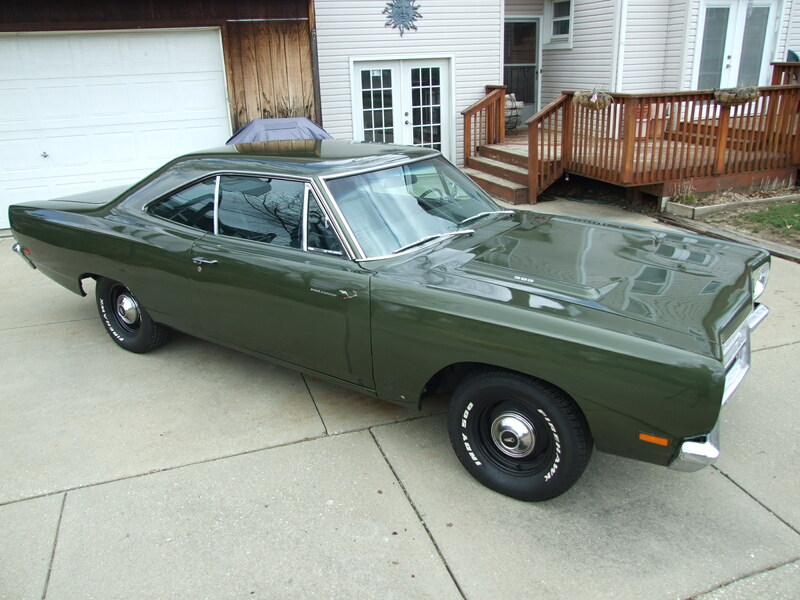 * Owner indicated that as recommended by the local mopar expert (who rebuilt trans.) 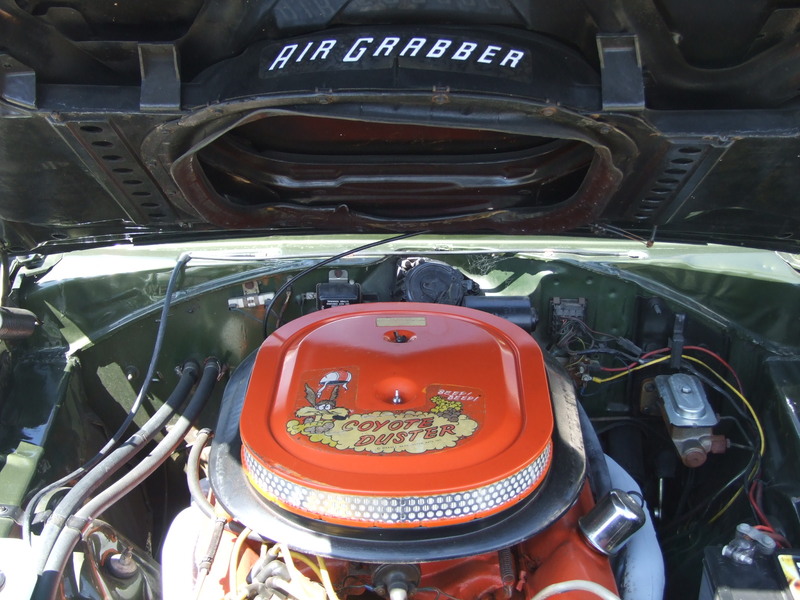 he had a fuel filter near the carburetor installed, and also another inline filter for fuel. * He indicated that he does use a lead additive, as we have no knowledge of the engine being updated to run unleaded fuel or not. 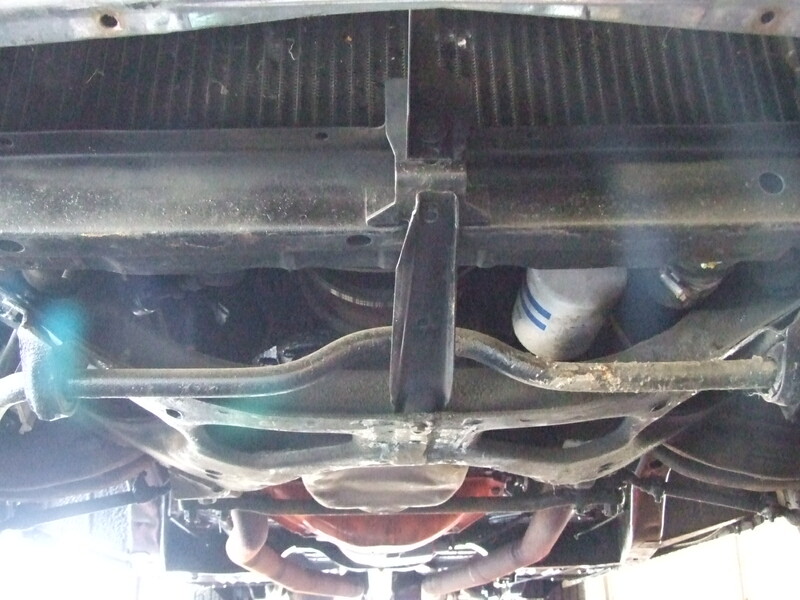 * Over all the supports, and floor pan area all look to be solid with no rust perforation from the mufflers forward. (See pics) It all appears to be solid, and if there were any repairs it indicated to look original. * There has been some non-metal re-construction at the bottom front of the rear wheel wells, and the bottoms of the quarters behind the rear tires as well, which back in the day were some of the first areas to see rust, so it is not unusual. * The trunk floor had a center piece installed sometime prior to this owner, and you will notice a couple of spots on the right where it is thin. *We don’t see anything on the underside that looks highly modified in anyway, or any other obvious rust perforation. * Underside was painted with a gloss type black at some time, and most of it remains in place. * Horn Works BEEP!! BEEP! !